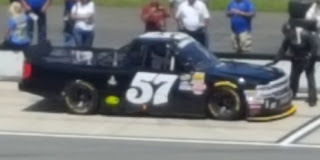 Mike Senica picked up the 1st last-place finish of his NASCAR Camping World Truck Series career in Saturday’s Overton’s 150 at the Pocono Raceway when his unsponsored #57 Norm Benning Racing Chevrolet fell out with steering issues after 2 of 60 laps. The finish came in Senica’s second series start. The 51-year-old driver from Doylestown, Pennsylvania has taken a rather unique path into NASCAR. A sports marketing businessman, certified flight instructor, and professional wrestler, Senica’s racing career began in SCCA and open-wheel Formula Ford competition. 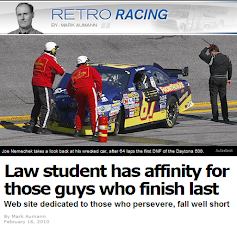 His first exposure to stock cars came in 2005, when he attended the Fast Track Racing School in Charlotte. He earned his ARCA license that year, and began to attempt races for a variety of teams, both in the ARCA Racing Series and the ARCA Truck Series. Senica’s ARCA Racing Series debut came July 17, 2010 at Mansfield Motorsports Park. Driving for Wayne Peterson, himself a veteran both in racing and as a member of the U.S. Army Special Forces, Senica started 29th in the 32-car field and finished 30th. He then drove for both Andy Hillenburg and Roger Carter, though each time ran just a handful of laps. It wasn’t until last year, when he began to drive for Wayne Hixson, that he began to drive for longer distances. 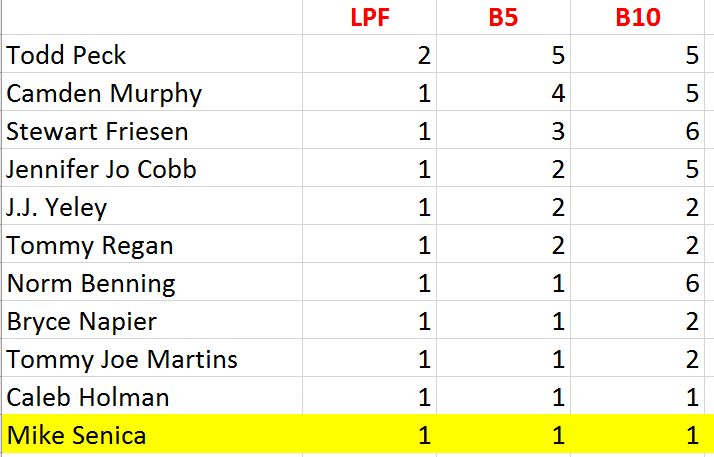 Still cutting his teeth on underfunded teams, Senica’s career-best remains a 17th at Berlin, a race where he fell out with a vibration short of halfway. At Pocono, Senica was slated to make his fourth start of the 2017 ARCA season in Friday’s ModSpace 150. With fellow Pennsylvanian Steve Fox driving in his place in Hixson’s #3 Chevrolet, Senica would drive the team’s backup car. A small “1” was added next to each “3” on the doors and roof, a detail that was noted in FOX Sports’ in-race graphics. Senica pulled off the track after 14 laps with brake issues, ranking him 29th in a field of 30. Finishing last was Eric Caudell in a third Hixson car, a #2 Ford sponsored by the team owner’s construction firm. But that wasn’t to be the end of Senica’s weekend. 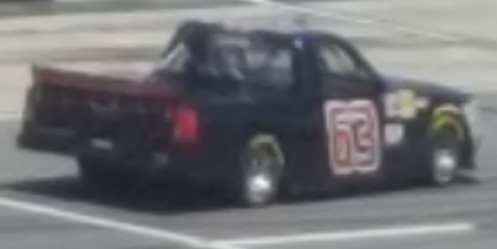 Last month at Iowa, Senica made his Truck Series debut in the M&M’s 200. Driving for Copp Motorsports in the #83 Chevrolet, Senica brought with him sponsorship from PB2 Powdered Peanut Butter, a brand that had backed several of the driver’s stock car rides dating back to 2005. While Senica worked his way from 32nd to 21st, the truck was flagged off the track for running too slow, ending his night 57 laps short of the distance. Pocono would see Senica make his first Truck Series start since then, this time driving the second truck belonging to owner-driver Norm Benning. In four previous starts, the truck had three different drivers – Tommy Regan, J.J. Yeley, and B.J. McLeod – and earned a last-place finish at Iowa. While the preliminary entry list had McLeod set to run the #57 again, McLeod instead focused on his XFINITY Series effort in Iowa. By Friday, it was Senica who climbed behind the wheel in Pocono’s opening practice. His single lap of 138.215mph was the slowest of the 23 who took time that session. After not participating in Happy Hour, he ran another single lap in qualifying – 135.196mph – more than 13 seconds slower than Ben Rhodes’ pole speed. While Senica put up the slowest lap in qualifying, it was Justin Fontaine who started last in Saturday’s race. Fontaine, making his first start of the season, brought his sponsorship from Promatic Automation to Bolen Motorsports and, with help from AM Racing, was tabbed to drive the #66 Toyota. Despite running 17th and 15th in Friday’s two practice sessions, Fontaine was unable to complete a qualifying lap and instead settled on the final starting spot. 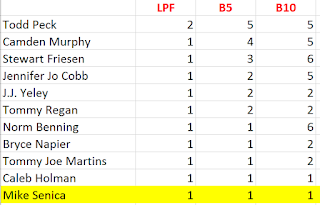 After several driver and team changes throughout the week, including the withdrawal of Josh Reaume’s #50 Chevrolet for Beaver Motorsports, 30 trucks would take the green with Fontaine and Senica filling Row 15. Prior to the start of the race, three trucks – belonging to Jennifer Jo Cobb, Johnny Sauter, and Justin Haley – were sent to the rear for unapproved adjustments. Todd Peck also pitted his #83 Pulse Transportation / National Arthritis Ford during the final pace lap. 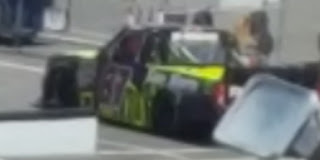 By the third lap of the race, Senica had pulled his truck down pit road, where the crew briefly looked under the hood before pushing the truck behind the wall, locking up the last-place finish. The next time by, Joe Nemechek, whose #87 Fire Alarm Services / D.A.B Constructors Chevrolet was a late entry to the event, pulled directly into the garage. At that same moment, Dover last-placer Camden Murphy was also sitting in his pit stall with the hood up on Mike Mittler’s #36 Fr8Auction.com Chevrolet. 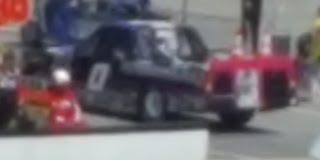 Murphy’s truck then went behind the wall, followed shortly by the #0 Driven2Honor.org Chevrolet from Jennifer Jo Cobb Racing. Cody Ware was originally slated to drive the #0, but Matt Mills ran the six laps on Friday. Mills himself was originally slated to drive the #44 Chevrolet under Faith Motorsports before Martins Motorsports entered its own truck under that shared number with Austin Wayne Self behind the wheel. Rounding out the Bottom Five was the black #63 Chevrolet of 2003 series champion Travis Kvapil, who himself swapped rides with Camden Murphy at MB Motorsports. 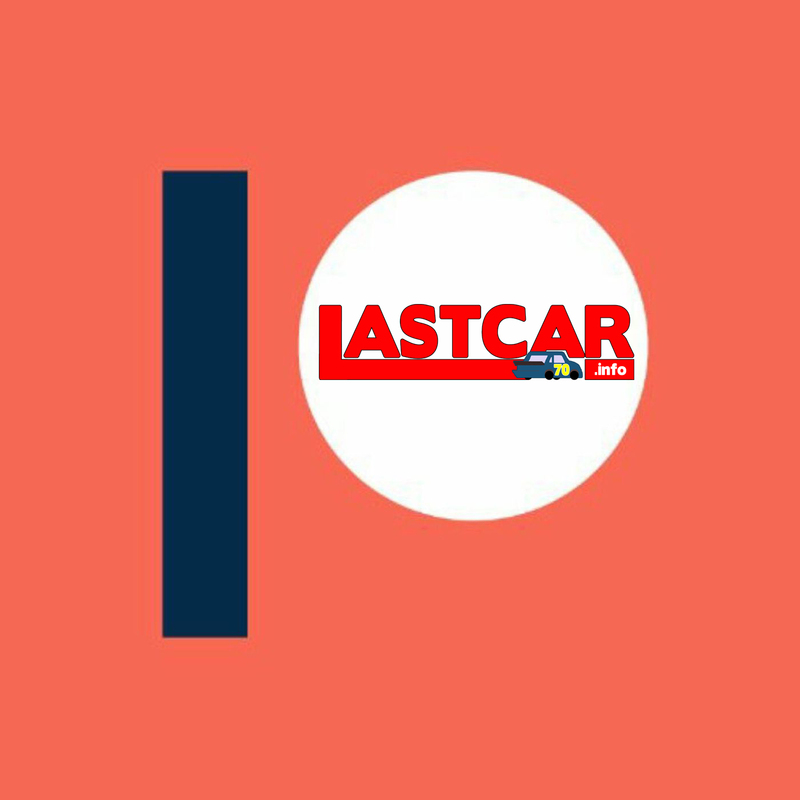 Special thanks to LASTCAR.info reader Sam Laughlin, who reported trackside at Pocono on the Bottom Five and provided all the pictures used in this article. *This marked the first last-place finish for truck #57 in a Truck Series race at Pocono. 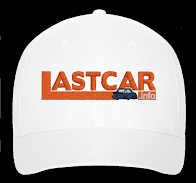 *Senica’s finish ends a streak of back-to-back last-place finishes in this event by three-time and defending LASTCAR Truck Series champ Caleb Roark. 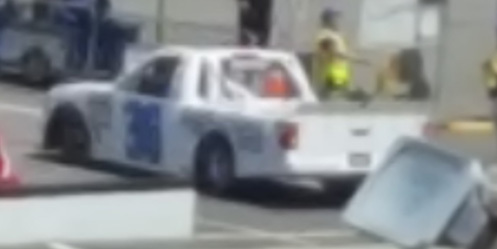 *This marked just the third time in Truck Series history that the last-place finisher fell out with steering issues. 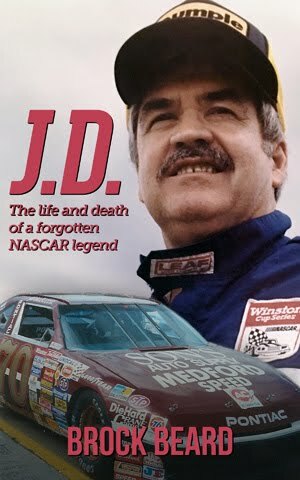 The other two occurred in the series’ first-ever points race on February 5, 1995, when John Borneman’s #8 MJ Soffe Chevrolet retired after 22 laps of the Skoal Bandit Copper World Classic at Phoenix. The other occurred on September 28, 2001, when Phil Bonifield’s #25 National Wild Turkey Federation Chevrolet fell out after 16 laps of NetZero 250 Presented by John Boy & Billy at the South Boston Speedway.